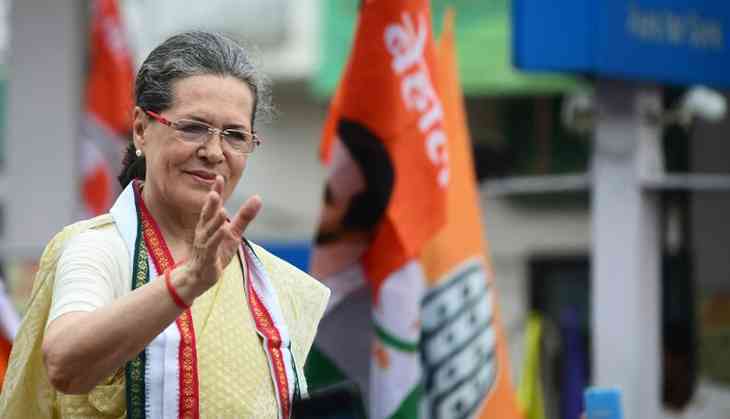 Congress president Sonia Gandhi today described the presidential election as a battle of ideologies and principles and said the opposition was determined to fight it. "For us, it is a battle of ideologies, principles and truth and we will fight it," she said after the opposition's presidential candidate Meira Kumar filed her nomination in Parliament. The Congress president led the 17 opposition parties in accompanying the former Lok Sabha speaker as she filed her nomination on the last day today. Gandhi is one of Kumar's proposers in one set of nomination papers, sources said. Congress vice president Rahul Gandhi, who is abroad on a vacation, said Kumar represents the values that bind the country and its people. "Against the ideology of divisiveness she represents the values that bind us as a nation and people. Proud to have Meira Kumar Ji as our candidate," he tweeted.